New directions in transformer engineering: Under the brand name Trafoboard® HD-PH, the international plastics processor Röchling Engineering Plastics SE & Co. KG, Haren, Germany is the first manufacturer in the market to offer fasteners made from laminated pressboard with phenolic resin bonding for use in oil-filled transformers. For the first time, transformer engineers are given an alternative to the conventional fasteners made from laminated pressboard with polyester resin or casein bonding that were so far available on the market. The new, unique phenolic resin bonding offers the highest electrical properties and contributes to the increased operational reliability of oil-filled transformers. Trafoboard® HD-PH consists of highly densified pressboard layers made of pure cellulose according to IEC 60641, which are bonded permanently by means of phenolic glue according to IEC 60763 type LB 3.1A.2. The material combines very good mechanical and electrical properties and is characterised by a very low moisture content and very good drying behaviour. Röchling worked closely with the University of Applied Sciences Osnabrück on its development. Compared to conventional fasteners made of laminated pressboard, Trafoboard® HD-PH has very high mechanical strength even at high application temperatures of 90 °C. The low moisture content and very good drying behaviour during kerosene drying offer a low shrinkage behaviour and thus a very high homogeneous strength. Thus, Trafoboard® reduces the risk of cracking and delamination. At the same time, the low shrinkage behaviour of the fasteners and nuts made from Trafoboard® HD-PH ensures a high-precision fit. This ensures that fasteners and nuts made of Trafoboard® HD-PH have a particularly high-precision fit. This facilitates the construction and dimensioning of transformers with more accurate tolerances. Compared to polyester resin-bonded laminated pressboard, no styrene is released when machining. This ensures no unpleasant smells for employees and contributes to work safety. Transformer engineers can get the new fasteners made from Trafoboard® HD-PH in sizes from M8 to M24. They are supplied in small, appropriate moisture-tight packaging units. Due to the material, laminated pressboard absorbs moisture quickly and is inclined to swell. 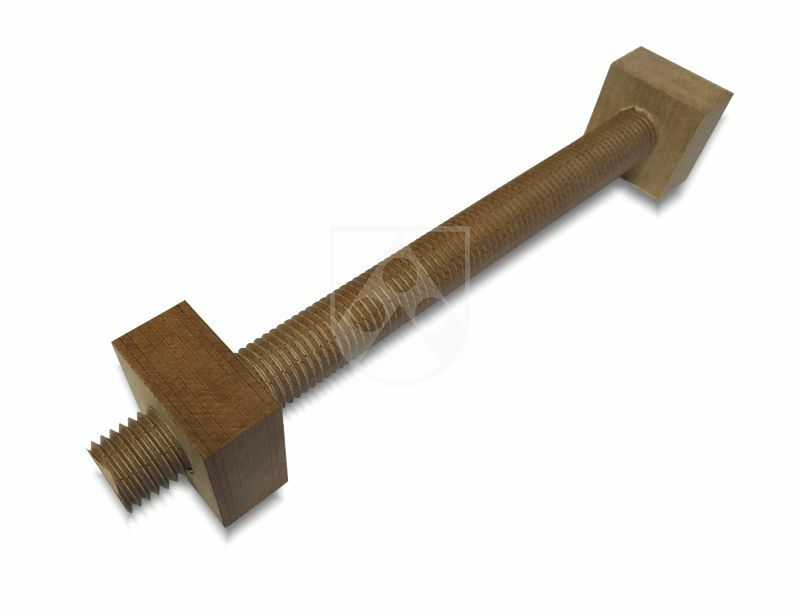 With the special packaging, the fasteners are reliably protected against moisture and remain dimensionally stable. With fasteners made of Trafoboard® HD-PH, Röchling is expanding its range of construction and insulation components for use in oil-filled power transformers. For more than a century, the plastics processor has been producing the high-performance material Lignostone® Transformerwood®, which uses phenolic resin. Röchling has extraordinary expertise in the application of this bonding technology. It manufactures semi-finished products and components, such as pressure rings, pressure beams, shield end rings, shield rings and fasteners, according to customer specifications. Since 2010, Röchling has been offering an insulation material made of high-quality laminated pressboard for the highest demands on electrical properties in the form of Trafoboard® HD-PH. After Röchling presented Trafoboard® HD-PH for the first time at CWIEME 2010, the material was able to quickly establish itself in the market. Well-known manufacturers of oil-filled transformers have approved Trafoboard® HD-PH after thorough testing of its electrical properties and utilise insulating parts such as rings and platforms. This range is now being extended with fasteners made from Trafoboard® HD-PH. New directions in transformer engineering: Under the brand name Trafoboard® HD-PH, the international plastics processor Röchling Engineering Plastics SE & Co. KG, Haren, Germany is the first manufacturer in the market to offer fasteners made from laminated pressboard with phenolic resin bonding for use in oil-filled transformers.